The Fashion line as opposed to the Sport and Outdoor lines includes mostly natural materials (cotton, wool). This line is intended for people who want to wear elegant clothes, but want their clothes to meet the strictest criteria in terms of comfort. Materials from the fashion series are treated with the Hydrophobic Extreme nano-treatment or can be combined with the NANOMEMBRANE nanofibrous membrane. Not only is the clothing water resistant. It is also 100% wind resistant and has excellent vapor permeability. Two layer laminates with the NANOMEMBRANE nanofibrous membrane provide unrivalled removal of moisture from the skin to the environment. Vapor resistance of these laminates starts on the Ret value of 4,5, which was confirmed by an independent testing laboratory Hohenstein Institute! At the same time it retains a sufficiently high water column and a 100% wind resistance. These laminates are intended primarily for winter clothes with an insulated layer or loose lining, e.g. sport jackets or coats. 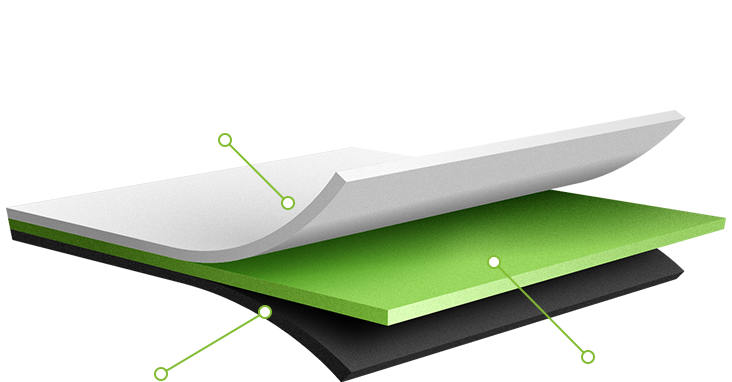 Three layer laminates with the NANOMEMBRANE nanofibrous membrane offer perfect vapor permeability, water resistance and 100% wind resistance as well as excellent protection of the nanofibrous membrane NANOMEMBRANE. This laminate is primarily intended for luxury coats, trousers, etc. Thanks to a unique nanofibrous structure with the fibre diameter of less than 150 nm, on 1 cm2 the NANOMEMBRANE nanofibrous membrane has 25% more pores than microporous membranes. This helps the NANOMEMBRANE achieve unique attributes that no other membranes in the world can match. It is no secret that the NANOMEMBRANE nanofibrous membrane is very similar to human skin, thanks to which NANOMEMBRANE can boast extremely high vapour permeability, i.e. the ability to remove bodily moisture from human skin to the external environment. 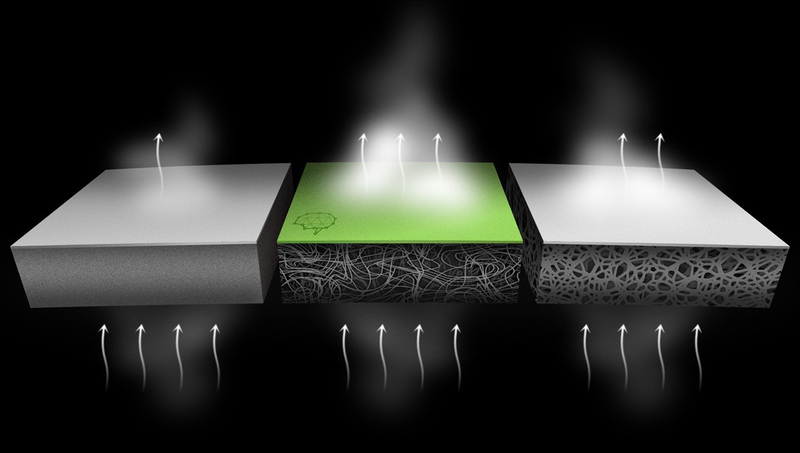 Vapor permeability of the two layer laminate with nanofibrous membrane is from Ret 0,89. Moreover, the NANOMEMBRANE nanofibrous membrane is 100% wind resistant and it boasts extreme hydrostatic resistance. Unlike other manufacturers, our company offers not only a choice of our own collection of woven and knitted fabrics, from which we can create a laminate according to your requirements, but we can also laminate on your materials. These materials, however, have to undergo a series of tests. If the material passes all the tests, we can laminate our unique Nanomembrane onto it. The company NANOMEMBRANE manufactures all of its products in the Czech Republic to ensure first-class quality, which is of utmost importance for the company. All research and testing of new as well as existing products is ensured by the company NANOMEMBRANE in cooperation with the Faculty of Textile Engineering of The Technical University of Liberec. Every product leaving the production line is tested by an independent laboratory and receives a certificate certifying the highest quality. And finally, each product is tested not only in the laboratory but also by our test team, which consists of a number of top athletes as well as outdoor enthusiasts, who test each newly developed product in real conditions. As a manufacturer of hi-tech technology with high added value, the company NANOMEMBRANE understands that every customer has their requirements that may in some cases be very specific. That is why NANOMEMBRANE is ready to offer assistance in developing and creating a fully specific and unique custom-made product. We measure the resistance of the laminate to water and of the water column. The minimum height of water column is 5,000 mm. Resistance of the laminate to wind; no laminate may have a lower value than 10 l/m2/s. Simulation of rain. Every laminate or fabric must meet the requirements of ISO 5, i.e. be absolutely water repellent. We measure the permeability of moisture (sweat) through the laminate. All values are given in RET, as this is the most objective method of measurement. Measurement of abrasion resistance of the upper and inside materials. Every laminate must have the highest abrasion resistance for the specific activity. Measurement of resistance of the laminates against washing in automatic wash machine; at least 5 washing cycles. Od 1.3. 2019 je v naší společnosti zaveden čtyřdenní pracovní režim.